OXO WRAP is a stretch wrap with special additives which allow the film to degrade quicker than regular stretch film without effecting the film performance. The OXO film degrades in 12 to 24 months through oxidative degradation (reaction with oxygen, UV light, and mechanical stress) or biodegradation (reaction with oxygen, moisture, and microorganisms). 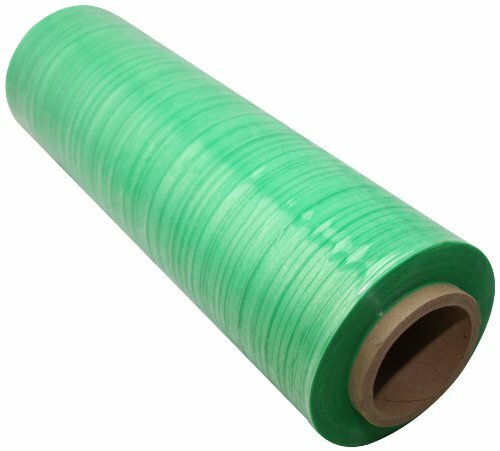 18" wide stretch wrap is ideal for completely securing/unitizing loads for shipment. Film is wound on a 3" ID (inner diameter) core-dispensed by either sticking your hands in the core or using one of the dispenser options, sold separately. Lighter gauge/thickness film is an economical way to secure lighter weight/standard (square shaped-no protrusions) shaped shipment. Manufacturer: J.C. PARRY & SONS CO., INC. Publisher: J.C. PARRY & SONS CO., INC. Studio: J.C. PARRY & SONS CO., INC. If you have any questions about this product by Goodwrappers, contact us by completing and submitting the form below. If you are looking for a specif part number, please include it with your message.